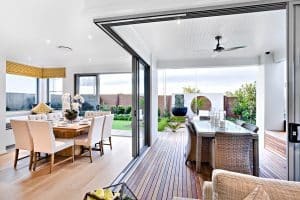 An alfresco area is a perfect way to extend your living space, add value to your home and give yourself a sanctuary—it can be your own personal escape, right in your very own backyard. An alfresco area can be so many things, it can be a dining room, a kitchen, a day bedroom or an entertainment space. The best houses have no wasted space, and with an outdoor living area, you’ll be able to utilise every inch of your property. Just imagine spending summer days relaxing outside, or reading a book while the rain patters on the roof of your pergola. An alfresco area will completely change the way you experience your property. At Everlast services, we have been providing homes in Melbourne with alfresco areas that transform their lives. We can work with all materials, styles and designs to install an outdoor space that is truly yours. The process is all about using your ideas and our expertise to create an area that is imbued with your personality and perfectly suits your property. We have our own steel fabrication plant in Hoppers Crossing. This allows us to cut out the middleman and make huge savings. We always pass these savings on to you, so you’ll be blown away by the quotes we offer to create your beautiful area. Not only do we give back to the local economy by providing jobs through our fabrication plant, but we also source our products from local suppliers. We genuinely believe that your dollar should stay in the community, so by choosing us, you’ll be making a choice to give back. Our team members have the full suite of skills. We have expert stonemasons, pavers, carpenters and every other type of tradespeople you need to construct a remarkable alfresco area. That means that you only have to deal with one contact and one quote for the entire project, and you won’t have to worry about juggling subcontractors. If you need any other services for your backyard beautification project, we can provide them. We have expert and experienced tradesmen on hand to provide you with landscaping, paving, decking or concreting.